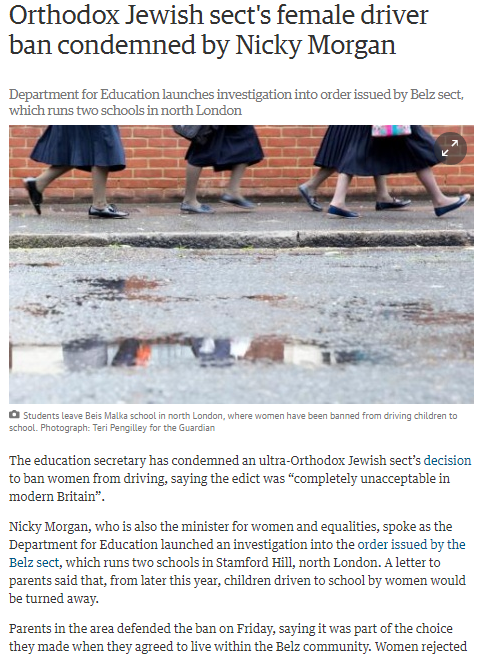 World within a world: Jewish sect bans female drivers, children driven to school by mother turned away. 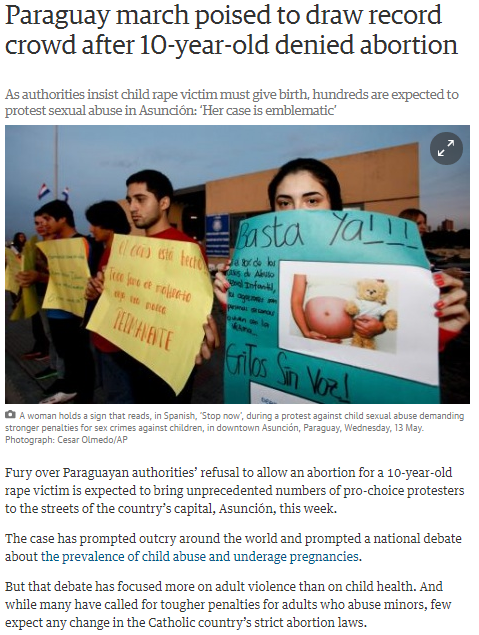 Activists speak up as Paraguay denies abortion to 10-year old – not the first case of its kind. 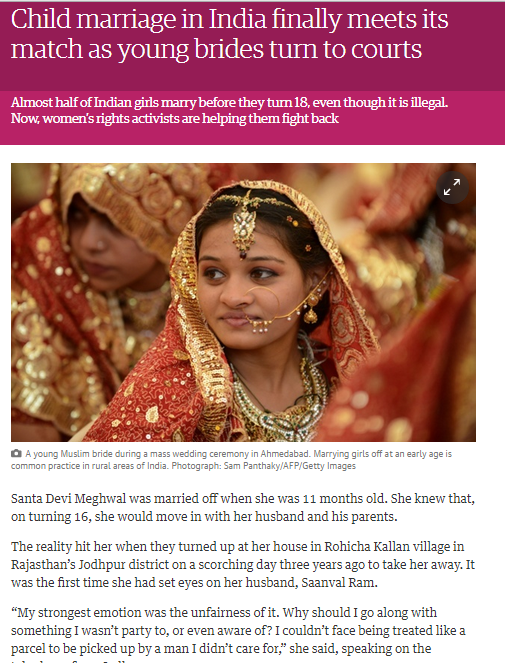 India’s culture of (illegal) child marriage is challenged as former child brides take legal action. 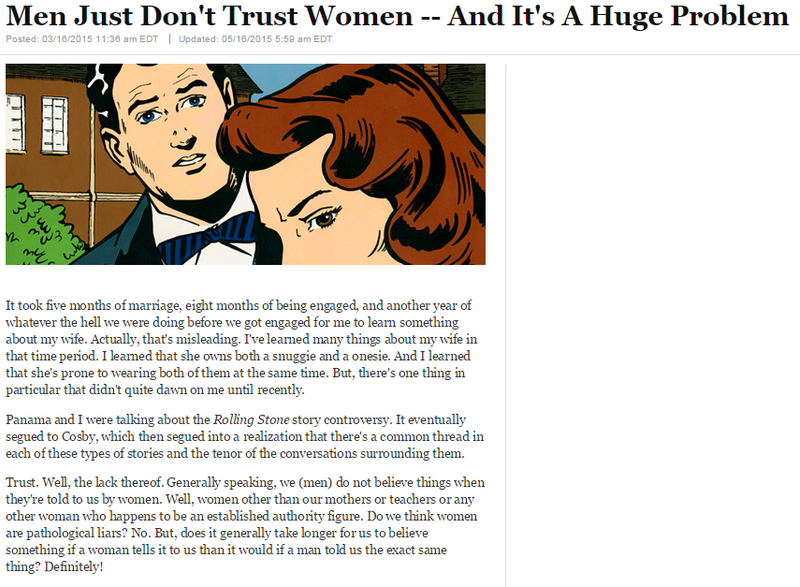 Damon Young on learning to trust his wife and women in general. 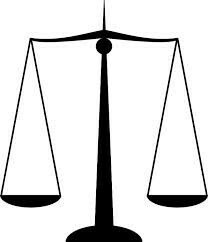 Zambia and Mozambique ‘train’ 8 year old girls for ‘wifely duties’. We are not ‘there’ yet. Nowhere near. Christina Vardanis starts a micro revolution by encouraging her daughter to speak up and not tolerate physical force. 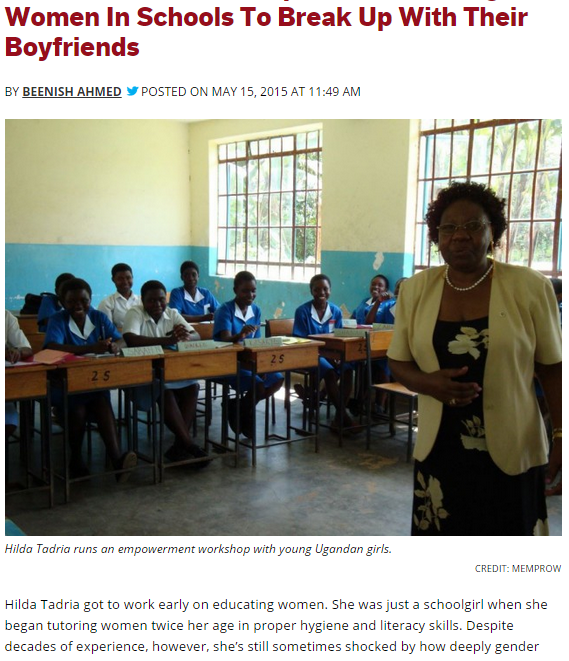 Hilda Tadria’s female empowerment workshop in Uganda leads schoolgirls to stop playing ‘wife’, boys protest.